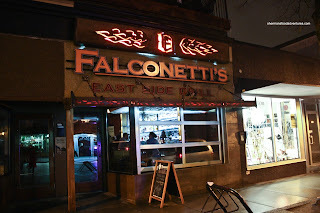 Wow, it's been awhile since I've visited Falconetti's. I think the last time was 4 years ago for the Parallel 49 Cask Dinner. That was with Miss Y and ironically, it was once again with her that we visited the place for my last stop for the Burger Challenge. Generally, Falconetti's is famous for their house-made sausages paired with their beers on tap, but they threw their hat into the ring for the burger challenge. However, we weren't there to eat one burger and call it a meal either. Yes, we ordered a few more dishes to supplement the required dish. We started with the Smokin' Wings with honey garlic sauce (served on the side as requested). 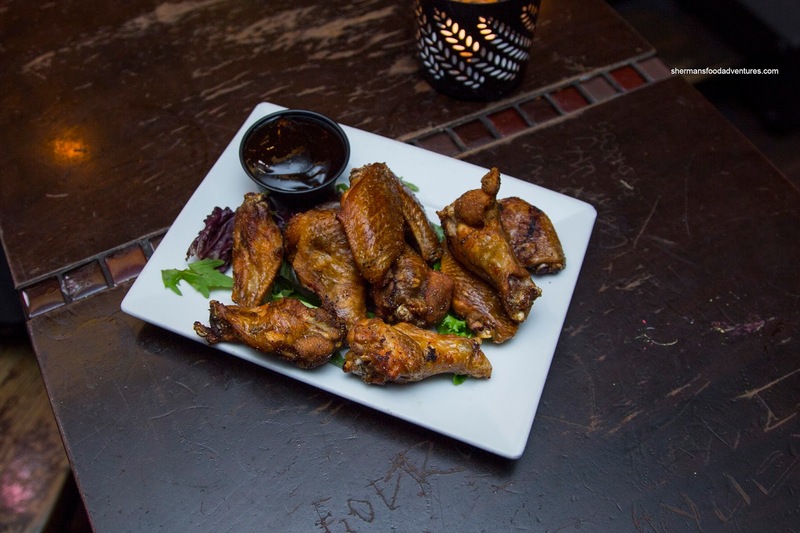 With the sauce not directly on the wings, we were able to see that the exterior was fried beautifully with fully rendered skin. It was crispy while the meat was still juicy. The wings didn't have a lot of inherent seasoning which was no problem since they were house-smoked. We could really taste the depth-of-flavour. Next up, we had the Maui Zaui consisting of short ribs marinated in spices and then grilled. 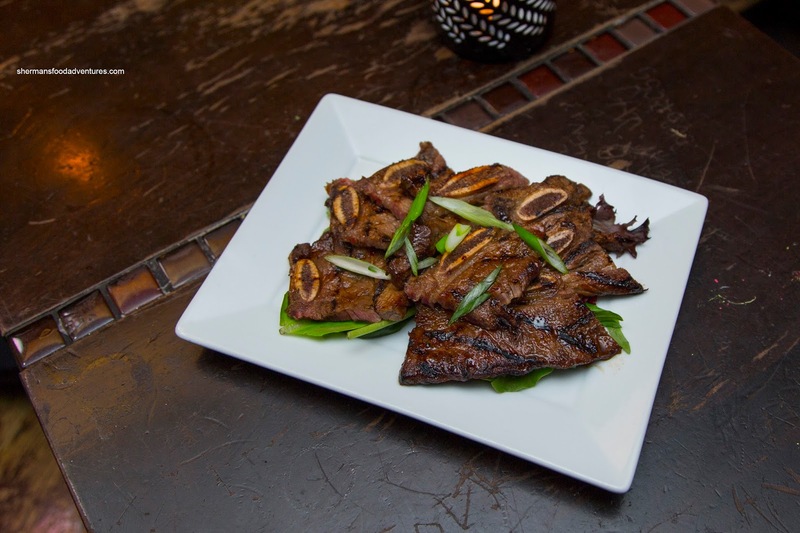 On the surface, they looked like grilled Korean short ribs, but they weren't. Rather, they were much meatier (as in less tenderizers used) and the flavours were not as sweet. They were on the chewier side, but for me at least, I didn't mind the natural texture. 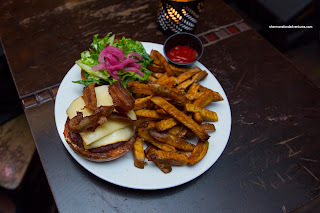 Their entry into the Burger Challenge was the Smokehouse Steakburger sporting house sirloin beef with smoky gouda cheese, house cherry-wood smoked bacon, sweet pickled red onion and chopped romaine slathered with Tennessee whiskey tomato jam and grainy mustard on a Cabernet bun. As simple as this burger seemed, it was really good. The thick meat patty was moist and juicy while the ingredients created a smoky, sweet and tangy combination of flavours. Of course we couldn't have a meal at Falconetti's without one of their house-made sausages in the Honey Bratwurst. 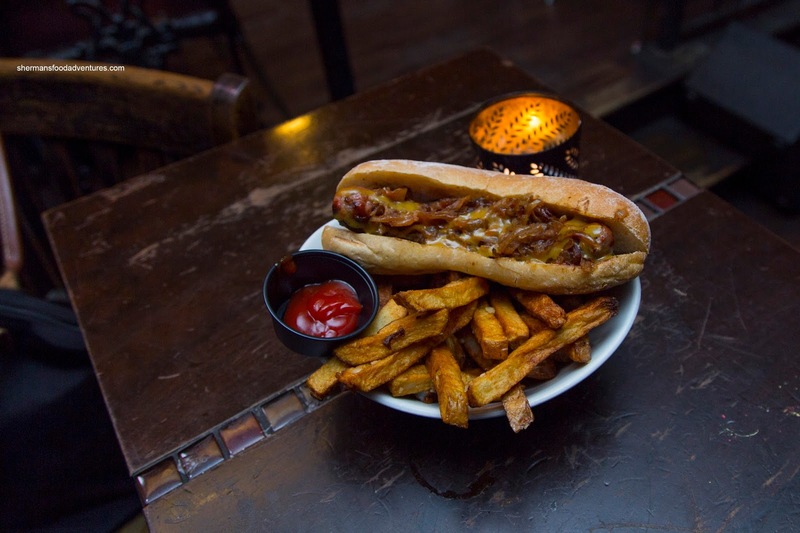 It was a sweet concoction as the name suggested with honey mustard and caramelized onions. The brat itself had a nice exterior snap while bursting with juiciness. Compared to my previous 2 visits here (spaced apart by years), this one was the strongest. Food was on point and prices didn't hurt the wallet either.